Welcome to Ninja Island! By Joining the Island, you can have fun posting, playing games and opening up your own shop! Earn Ninja Bucks and Spend them on cool stuff! Just registering, you will receive 50 free Ninja Bucks!! 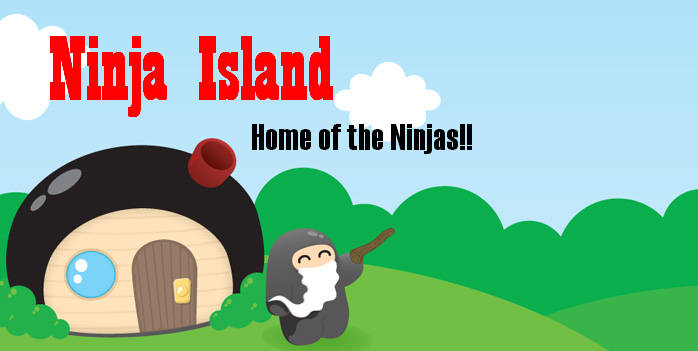 Ninja Island is Now Open to Public! Register Now! The Arcade is now Open! Go Rack up your High Scores! Also, you can comment on the Failed Topics but you cant post new topics. I'm sure you guys will love this! Every Sunday, it is now Spamming Sunday where you can spam all over the Island for a low cost of 5 NB!!! » Need help purchasing a used ninja 650? » Spam that Daniel can't get rid of but Ryan can. » Where can I watch FREE baseball games online? » If the theory of evolution is correct, and living things such as humans adapt to their surroundings? » What jokes make middle schoolers laugh?